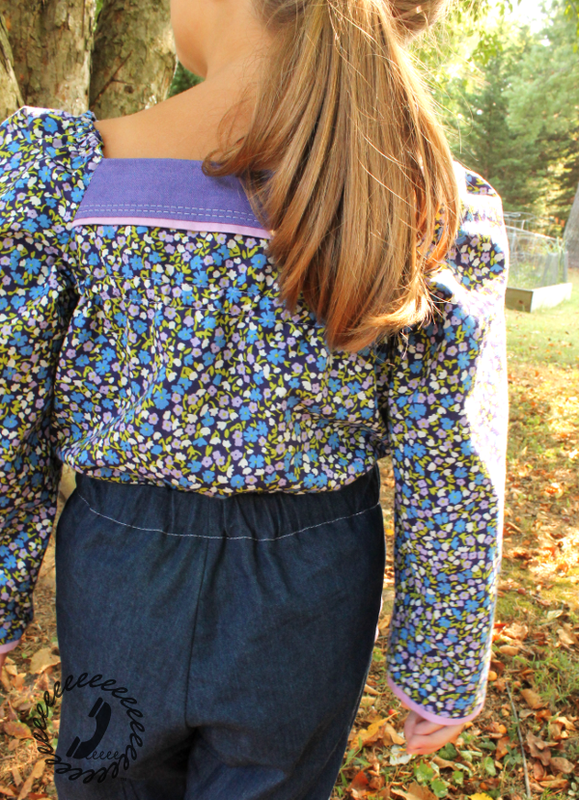 We’re nearing the end of the “Not Just a Sunsuit” tour for the Paneled Sunsuit, but the exciting news is that the Long Sleeve Add-On for the pattern is now available! Now this already versatile pattern will take your girl straight through the winter. The sleeves in sizes newborn through 12 years can be used with any view of the original pattern in place of the straps, which bumps up the number of views from 10 to 16! And just like the Paneled Sunsuit itself, the sleeves can be made in woven or a sturdy knit so the possibilities are endless. The sleeves have a stretchy shoulder that still allows the versions with bottoms to be easily pulled up over the hips and waist which was a requirement for my design. The way the sleeves are sewn together may seem a little mysterious, but the tutorial is well illustrated so if you follow the steps it’ll be like magic when it’s done. I am totally in love with the jumpsuit I made for Bean this week. 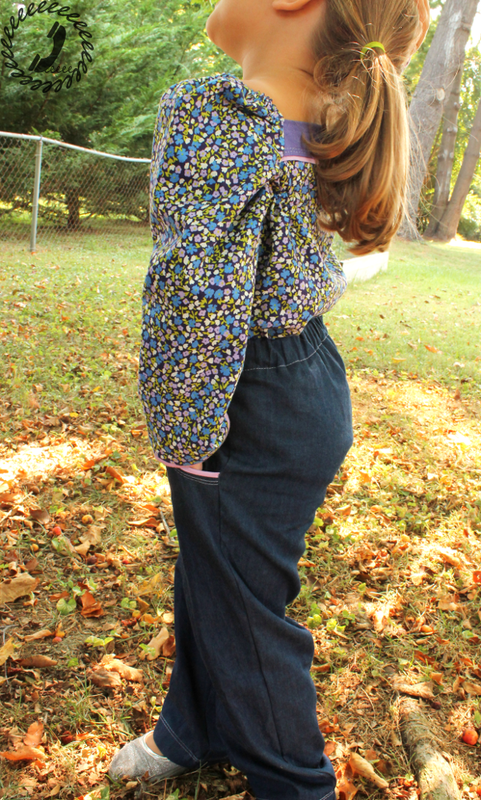 It’s super comfy and casual with the light-weight denim on the roomy trouser bottoms, but also a bit fancy-Designing-Women-esque with the cotton lawn (from *Imagine Gnats) and the poofy princess sleeve. It’s like the 80’s business woman meets 90’s casual. That’s a thing right? The sleeve is a raglan style to maintain the shape of the bodice front and back of the original Paneled Sunsuit. 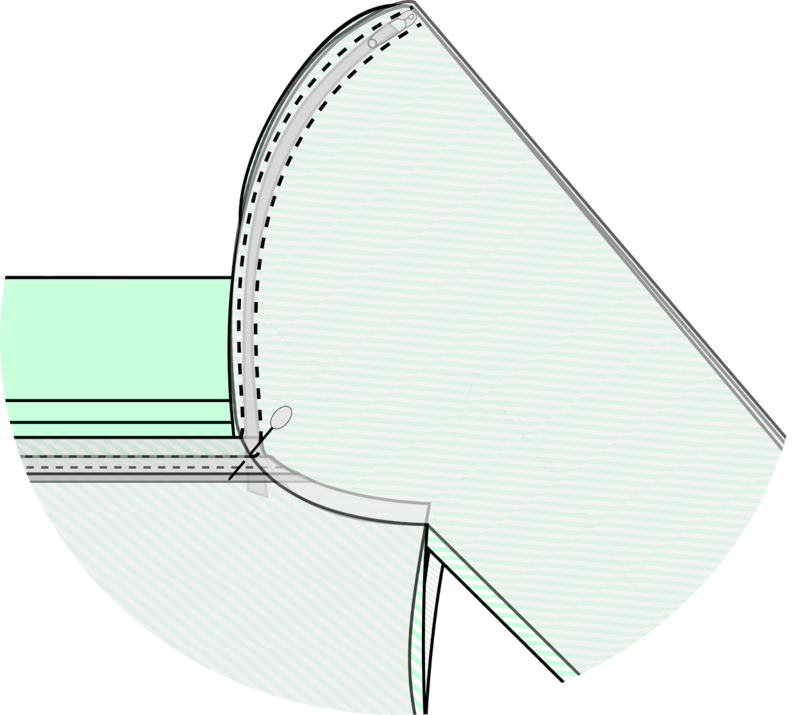 The sleeve cap is designed to be gathered as it needs to be able to stretch with the elastic at the shoulder in order to remove the bodice “like a bathing suit” as Bean says. These two design elements make the sleeve pattern piece look totally bizarre, but I promise it all comes together perfectly in the end. The sleeves and bodice are fully lined and with the tutorial “magic” the stand alone cropped tank views can be made to be fully reversible. I’ll have a post coming up which shows you how to extend the length of the crop top in case you’d like to make a reversible regular top for the colder seasons, so keep a look out for that. Here’s a quick peek of one of the illustrations in my pattern tutorials which should give you an idea of what my patterns look like. A lot of work goes into each illustration, but I’m proud of how they turn out so it’s worth the extra effort. Even though it’s still 90 degrees here in MD this week, we’re already looking forward to the cooler autumn days. 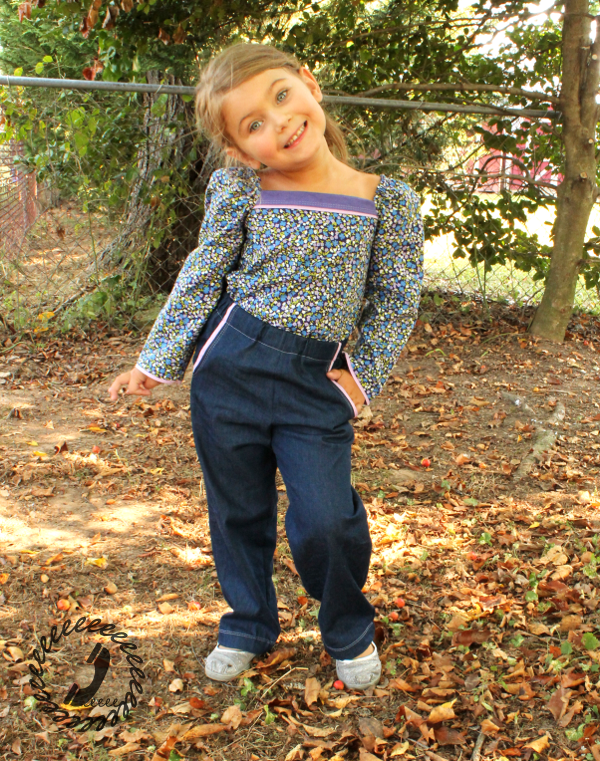 Bean loves her new jumpsuit with sleeves and we can’t wait to see what you make with the add-on too! 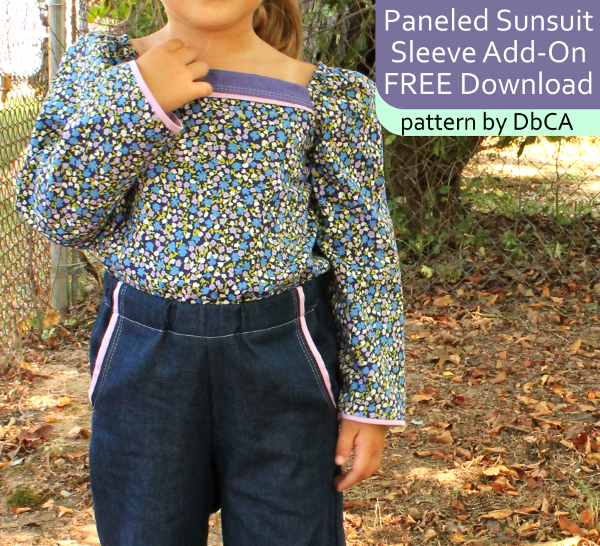 Don’t forget you can still enter the giveaway and use the coupon codes from the pattern tour, so get your Paneled Sunsuit pattern and download the free Sleeve Add-On today!